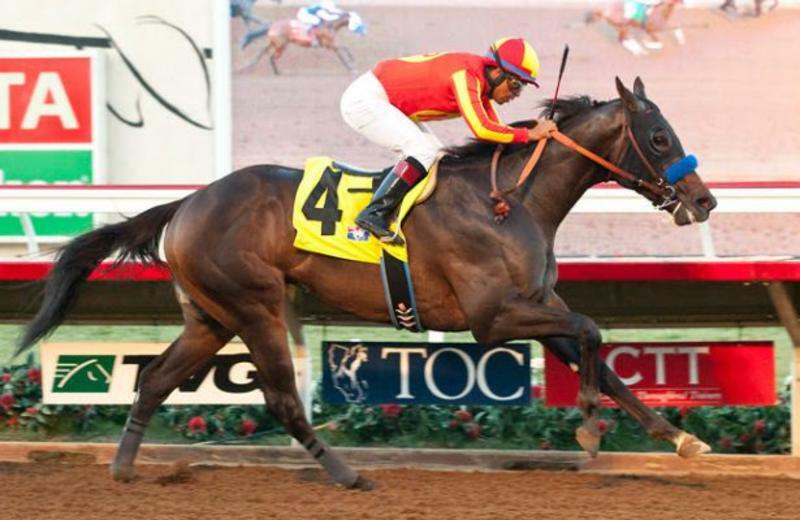 Trainer Bob Baffert's Toews On Ice, shown in victory in last summer's Bob Hope Stakes at Del Mar, returns from a three-month layoff to face four rivals in the $100,000 William Walker, Saturday's featured event on "Opening Night' at Churchill Downs (Benoit Photography). Mike Pegram, Karl Watson and Paul Weitman’s Toews On Ice, a three-time stakes winner and runner-up to Kentucky Derby hopeful Mor Spirit in the Los Alamitos Futurity (GI), heads a field of five 3-year-olds entered today for the second running of the $100,000 William Walker at six furlongs on the main track. The William Walker will serve as the centerpiece of Opening Night presented by Stella Artois and Old Forester that kicks off the 2016 Spring Meet that runs through July 2 and will be highlighted by the 142nd running of the $2 million Kentucky Derby Presented by Yum! Brands (GI) on May 7. In addition to the 11-race program that begins at 6 p.m. (all times Eastern), guests will enjoy at least 17 live arts performances by local artists at locations throughout the track in conjunction with Louisville’s Funds for the Arts. Gates will open at 5 p.m. The William Walker will go as the seventh race on the program with a 9:05 p.m. post time. Trained by Bob Baffert, Toews On Ice will be making his first start in more than three months following a sixth-place finish in the Smarty Jones at Oaklawn Park on Jan. 18. As a 2-year-old, the son of Archarcharch won the Barretts Juvenile at Los Alamitos, the Speakeasy at Santa Anita and the Bob Hope (GIII) at Del Mar before the runner-up finish to Mor Spirit. David Lopez has the mount on Toews On Ice and will break from post position four. Chief among the rivals to Toews On Ice is Abdullah Saeed Almaddah’s Sheikh of Sheikhs. Trained by Wesley Ward, Sheikh of Sheikhs will be making his first start since finish fourth behind Kentucky Derby favorite Nyquist in the San Vicente (GII) on Feb. 15. 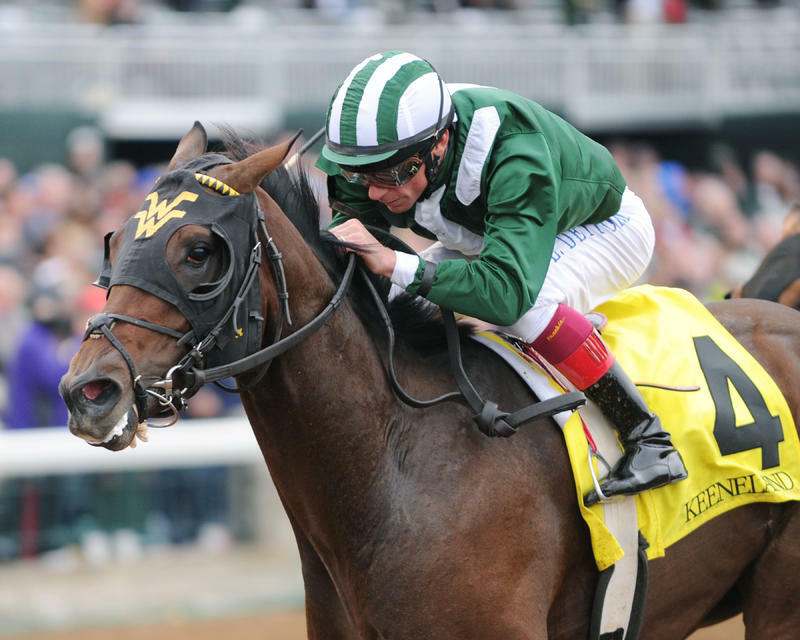 Winner of the Juvenile Dirt Sprint at Keeneland last fall, Sheikh of Sheikhs will be ridden by Jose Valdivia Jr. and break from post position two. The field for the William Walker, with riders and weights from the rail out: Twizz (Julien Leparoux, 118 pounds), Sheikh of Sheikhs (Valdivia Jr., 118), Patton Proud (Ricardo Santana Jr., 118), Toews On Ice (Lopez, 120) and Entertainer (Corey Lanerie, 118).